 To honor the 100th birthday of legendary playwright Arthur Miller, the Arthur Miller Foundation for Theater & Film Education hosted One Night – 100 Years: an all-star benefit to raise funds for the organization’s theater and film education programs. The one-night-only celebration was held at the Lyceum Theatre on January 25, 2016, and featured A-list talent from film, television, and Broadway reading from Miller’s autobiography, unpublished works, and scenes from his classic plays. 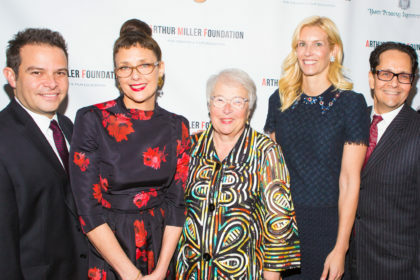 The event raised over $500,000 for the Arthur Miller Foundation, which is committed to providing access and equity to theater and film education in public schools. The performances included Bradley Cooper & Nina Arianda in After the Fall; Laurence Fishburne, Peter Sarsgaard, LaTanya Richardson Jackson, McKinley Belcher III & Ray Fisher in Death of a Salesman; Alec Baldwin, Ellen Barkin & Jake Gyllenhaal in All My Sons, and Ron Leibman & John Turturro in The Price. The scenes were complemented by readings from Miller’s autobiography, Timebends, personal letters, and journal entries. These excerpts were read by actors, Brian Dennehy & Scott Shepherd, and playwrights, Ayad Akhtar, A.R. Gurney, Katori Hall & Tony Kushner. 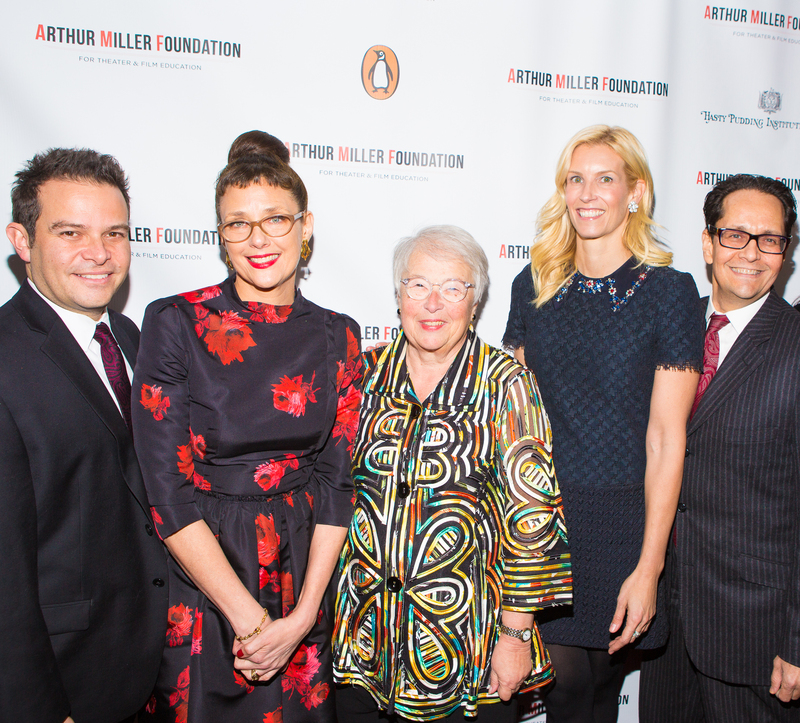 The evening featured speeches by Governor Andrew Cuomo and Chancellor Carmen Fariña who spoke about the importance of arts education. 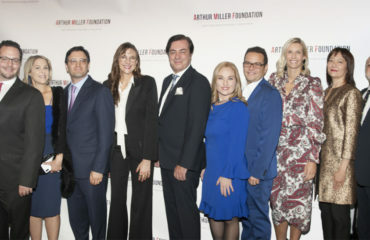 Board Chairs of the Arthur Miller Foundation – writer & filmmaker, Rebecca Miller, and playwright, Sandi Farkas – delivered an overview of the Foundation’s mission. Thirty theater and film students from NYC public school Quest to Learn were given the opportunity to attend this once in a lifetime celebration. They were seated on stage during the evening and were captivated by the powerful lineup of actors and playwrights. In addition, they were able meet the cast backstage to converse and take photos. This was a remarkable chance for the students to experience live, high-caliber theater, and the occasion led them to see themselves as authentic artists in the making. Arthur Miller’s sister, 93-year-old actress Joan Copeland, provided an especially moving moment. “Writing plays was like breathing to my brother,” she said, recounting how, when he was staying with her during the last months of his life, he slowly made his way to his desk to write every day. Leaving the stage, she tearfully thanked the audience for celebrating the legacy of “my big brother”. 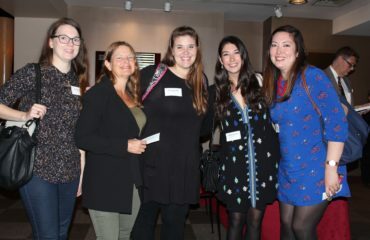 The event was produced by Cindy Tolan & Damon Cardasis, associate produced by Jaime Hastings, and directed by Gregory Mosher.